Ariel had her surgery on Monday 8/20 and it’s such a relief to see her breath with easy. 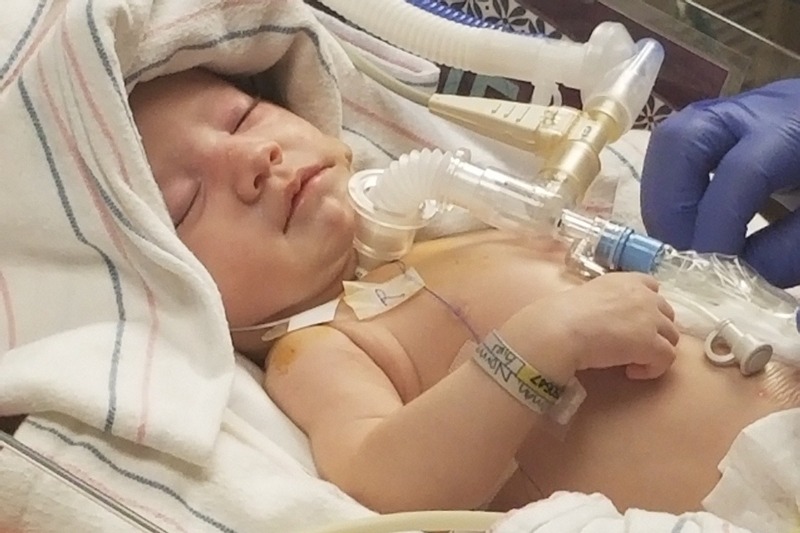 It’s never a moms plan to see her child with needles and tubes in them but the choice of a trachea and a feeding tube was made with Ariel’s well being in mind. The same way as I sit and learn from the nurses and doctors at the NICU I have come to the realization that Iwon’t be able to go back to work. With a one year old at home (Jubilee) and Ariel coming home with a treachea and feeding tube. The amount of care Ariel will need is the care only her mother will be able to provide. 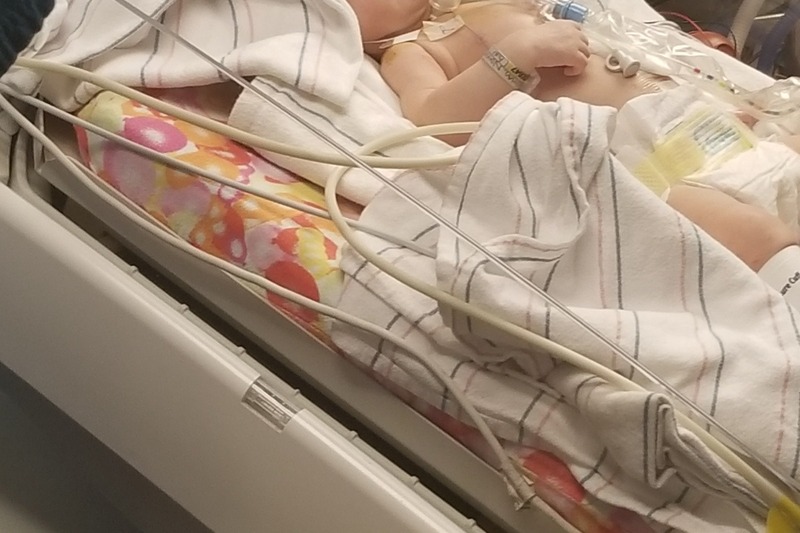 I thank all those who have donated it has been a big help but unfortunately we have a long road ahead of therapy, doctors visits, and special cares that Ariel will need. Please continue to share her valient story and thank you for all the support. ❤️ From a great full mommy. It was a long wait, but she is doing ok after her surgery. Thank you all for your prayers. Those days at home not going anywhere and just cuddling with your newborn is what every mom looks forward to when her due date is near. My due date came and went and all we have had are days and nights of nurses, doctors and lonely drives to and from Green Valley to TMC. My baby was born with Goldenhar Syndrome. She looks different but also she has a difficulty eating. As Ariel was admitted into the NICU we started noticing it became more and more difficult for her to breath. 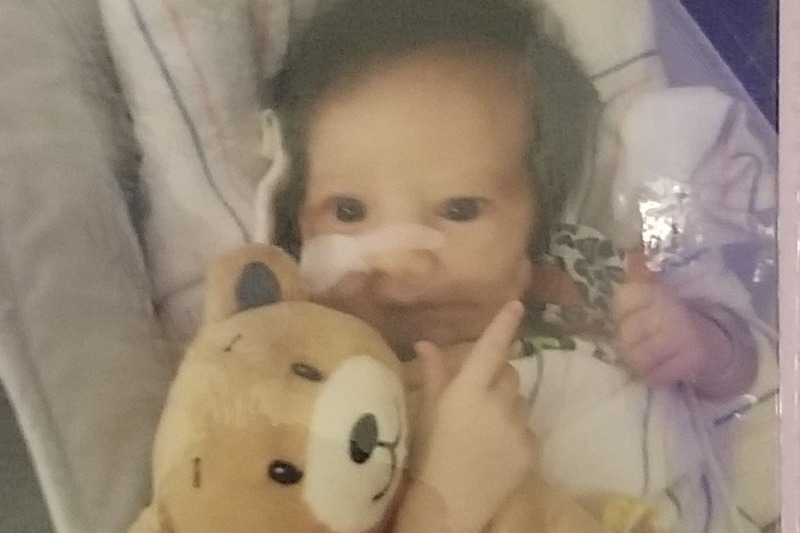 Doctors have decided she will need a trachea and a feeding tube before they consider letting her go home. We have heard that Ariel will be having surgery on Monday. Though this is a relief because we hope this will help her breath this means she will still be in the NICU for several more weeks. I thank all of those who have donated and reached out to support me and my family. It’s been a difficult journey. God bless you. Baby Ariel was having a good day yesterday. The little DiVa of NICU (every nurse calls her that) actually behaved after they gave her a bath.